Water Soluble Socket Welding Spacer Rings are the most stable water soluble socket welding spacer rings, with unique tabbed edges to keep the spacers stable for effective joint socket alignment. The specially engineered, patented design of Water Soluble Socket Welding Spacer Rings offers an economical, inventive solution to socket welding needs. Compatible with any metal, Water Soluble Socket Welding Spacer Rings provide the 1/16ʺ (1.6 mm) minimum gap required by ANSI 31.1, Section III, ASME, US Navy and Military Codes, eliminating the need for pre-measuring and guesswork. 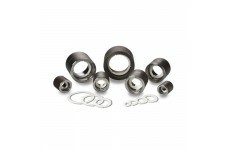 Water Soluble Socket Welding Spacer Rings are also available in 1/8″ (3.2 mm) thickness. Water Soluble Socket Welding Spacer Rings feature a unique 3-tabbed edge design that allows the spacers to remain secure in any pipe orientation. They are U.S. manufactured and comprised of environmentally safe, water soluble composite board. Water Soluble Socket Welding Spacer Rings dissolve completely and rapidly in most liquids, allowing for easy post-weld clean up. 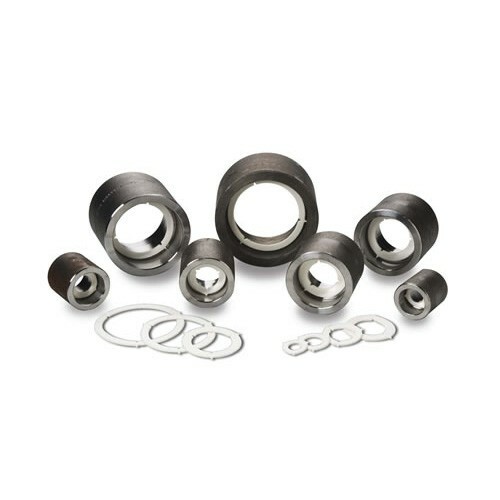 Available in a variety of sizes ranging from 1/2ʺ to 2 1/2ʺ in diameter, Water Soluble Socket Welding Spacer Rings are easy to install and ready to use, providing the smartest solution to your socket welding needs. 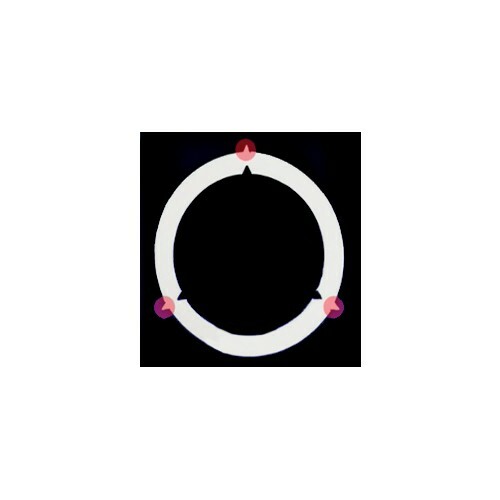 Position: Position ring by aligning outer edge with inner pipe circumference. 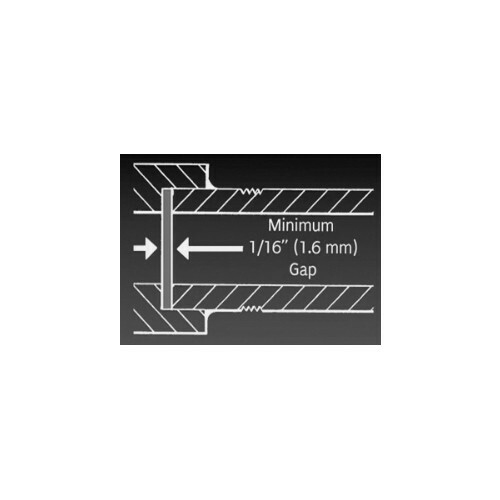 Snap in Place: Slide ring inside pipe so tabbed edges can fit snugly and snap-in-place, maintaining the 1/16″ or larger gap while avoiding compression. Stay in Place: Once secured inside the pipe, ring will stay in place, even when the socket is sideways or inverted. Weld: 1) Tack weld 3 or 4 times maintaining proper interpass temperature, as specified by ASME B31.3 or welding engineer; 2) Square up the pipe after the first tack; 3) Proceed to weld without exceeding interpass temperature. Dissolve: Introduce hot or cold water to dissolve and remove its entire contents, leaving no residue in the pipe or if preferred, simply leave the spacer in the pipe as no adverse effects will result. Sizes below reflect 1/16" thickness. For larger pipe inside diameters, custom sizes and thicknesses of 1/8" are available upon request.